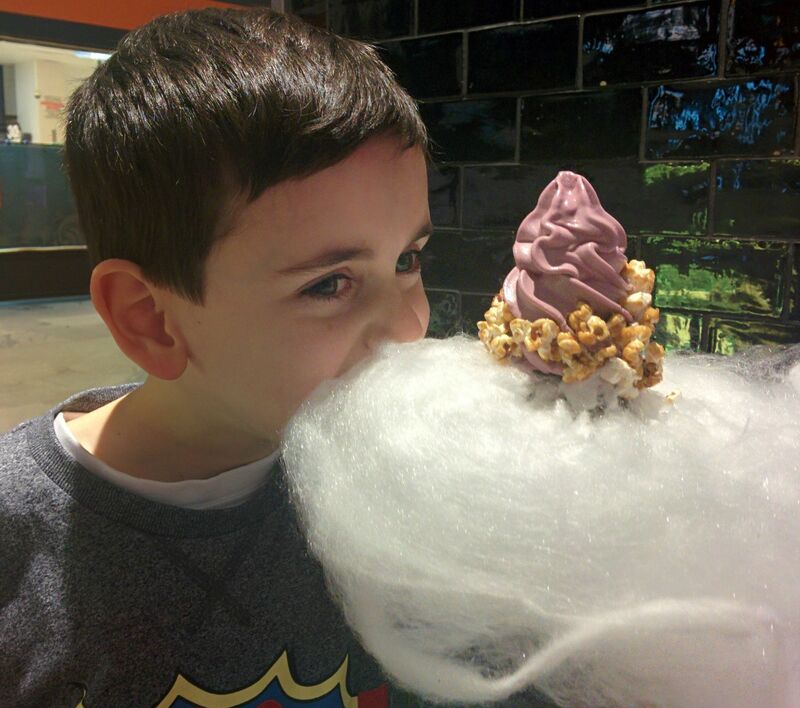 I'm sure we have all eaten a soft serve ice cream once or twice in our lives before. Probably from the back of a Mr Whippy van or from the drive through at the golden arches. And yes they are quite delicious. But those humble serves have been catapulted to a whole new level, thanks to the Aqua S ice cream parlour! Aqua S specialise in sea salt ice cream - but don't let that put you off, because the marriage of sea salt and ice cream somehow works perfectly together. You get a little zing on your tongue courtesy of the sea salt, but the sweet creaminess of the ice cream cuts straight through it. The sea salt flavour comes out as a vibrant blue coloured ice cream and is always on the menu at Aqua S. They also have two other flavours that change fortnightly. Some flavours are seriously wacky, like pumpkin soup and black sesame or there are tamer versions such as lychee and caramello. We road tested the grape flavour which reminded me of hubba bubba bubblegum! You can choose for your soft serve to come in a waffle cone or a cup, and you can have it plain if you wish. But seriously, that would be one very dull choice. 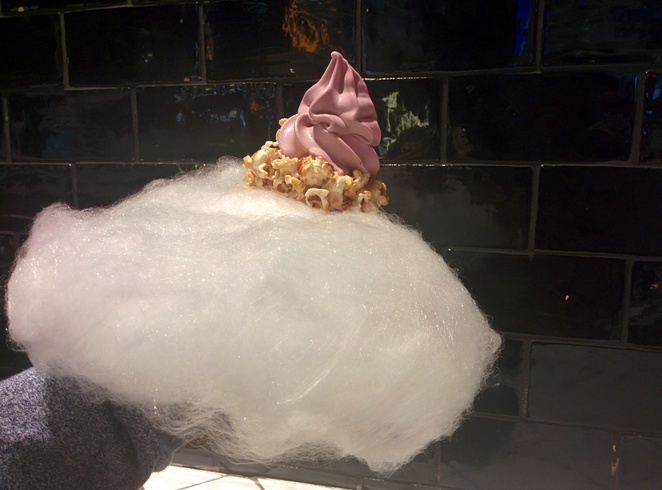 You need it to be served in a cloud of fairy floss, surrounded by either sweet caramel popcorn or popping candy! And if you still think your body can handle some more sugar, why not add a toasted marshmallow on top! The serves are huge, so can be easily shared with your other half, bestie or offspring. 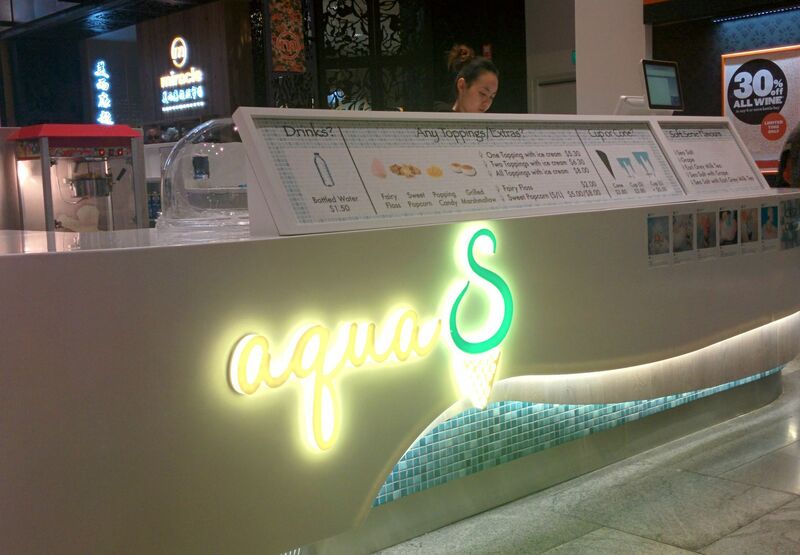 Sydney currently has two Aqua S ice cream parlours. The first store is right in the middle of the city at Regent's Place (Shop 27, 501 George St) and the second store is a kiosk that has just opened up in the Macquarie Shopping Centre. A plain cone/cup will cost you $3.80. Once you start adding the toppings the price ranges from $5.30 - $8.00 for the lot. Now all you need to do is go and experience the magic for yourself! Why? 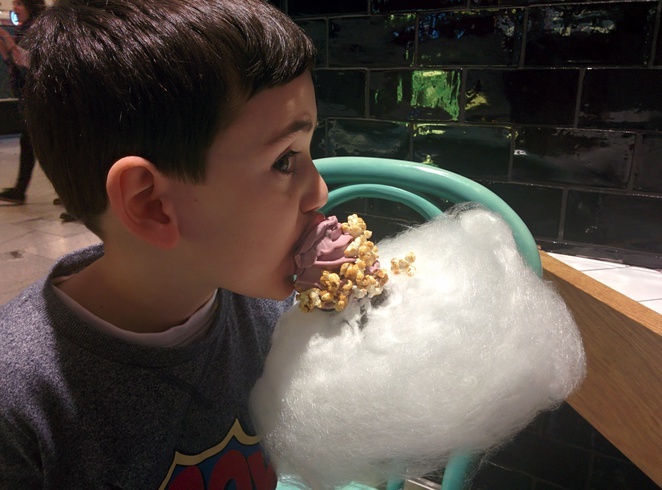 To eat the most amazing soft serve you have ever seen! Yum- love to hear about something different in icecream. Will be stopping by here when next in Sydney later in the year. Thanks.